UiTM Medical Specialist Centre Sg. Buloh : 24 hours (except Anatomic Pathology). UiTM Medical Centre Selayang : Monday to Friday, 8.00 am - 5.00 pm. 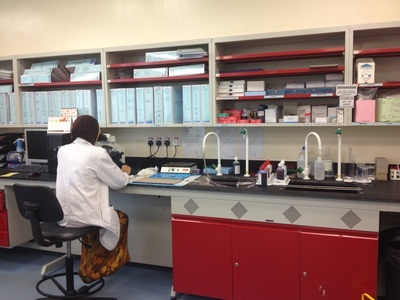 The Chemical Pathology Unit services cover pre-examination, examination and post examination (interpretation of biochemical results, diagnostic, monitoring and screening of diseases) as well as providing consultative services to our internal and external customers. 1. CPDRL, Level 1, UiTM Medical Specialist Centre, UiTM Sungai Buloh, Selangor. 2. 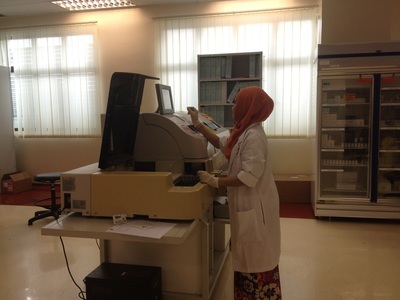 CPDRL, Level 5,UiTM Medical Specialist Centre , UiTM Selayang, Selangor. Definition - urgent tests which require stat analysis . Turn around time - 1 hour.ABG 45 minutes. Definition - tests requested by clinicians for clients that attend the day’s clinic without prior blood sampling for the tests requested. Turnaround time - 3 hours. Definition - Non urgent tests offered during office hours. Turnaround time – Inpatient : 4 hours, Outpatient : 5 working days. 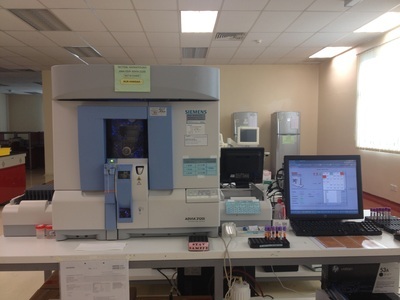 Definition - tests that are run in batches (eg endocrine tests, HbA1c, and functional tests). Turnaround time – Inhouse : 5 working days, Outsourced : Depends on sample transportation and turnaround time of referal lab. The Haematology & Transfusion Medicine Unit provides diagnostic and consultative services to UiTM Specialist Centre for patient management. 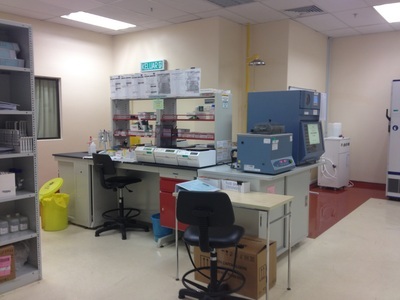 It also serves as a centre of excellence for research purposes. 2. 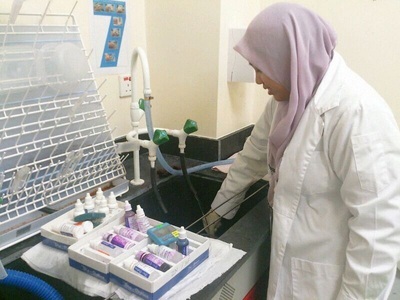 CPDRL, Level 5, UiTM Medical Specialist Centre, UiTM Selayang, Selangor. 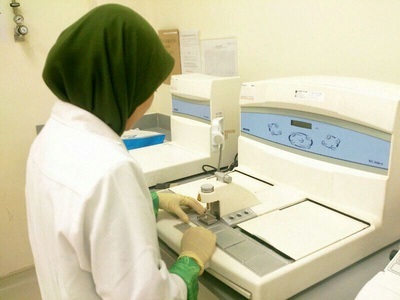 The haematology laboratory in Sungai Buloh provides 24 hour service for all routine tests. Urgent request must involve the communication between the requesting clinician and the haematologist. ​For specific list of services please download the Handbook. Anatomic Pathology is the specialty that involves with tissue and cellular diagnosis based on morphology with ancillary tests. 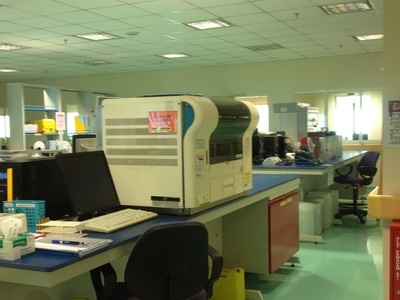 The service involves mainly histopathology and cytology diagnostics. 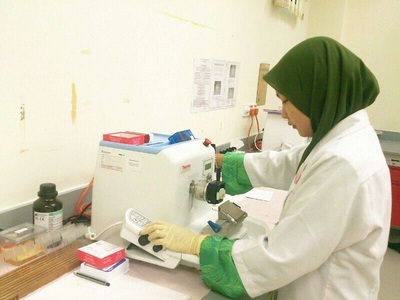 Histopathology involves macroscopic and microscopic examination of tissue with interpretative diagnosis. This concerned on the assessment of specimens removed at surgery or non-surgical biopsy procedures. i) Gynae based cytology – Conventional pap smear or Thin Prep. ii) Non-gynae based cytology – Fine needle aspiration cytology, brushings and fluid cytology. CPDRL, Level 1, UiTM Specialist Centre, UiTM Sungai Buloh, Selangor. & Anatomic Pathology Lab (03-6126500 ext 5053) for appointments. Please call laboratory to book/acknowledge the Pathologist On-Call at least 1 day prior to the operation. Medical microbiology plays a major role in the infectious disease discipline and knowledge in this field is essential to the clinical management of infections. 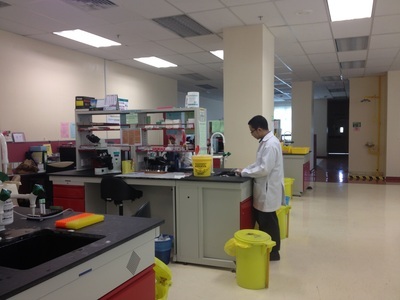 Microbiology unit provides the following services: Diagnostic and research services which comprise bacteriology,virology,mycology, parasitology and immunology. Participation in hospital infection control activities related to antibiotic monitoring and surveillance, as well as control and prevention of hospital acquired infections. Forensic Medicine is a science that deals with application of medical knowledge to legal questions. It consist of many tools and techniques but majority are in autopsy or post moterm examination of deceased body. 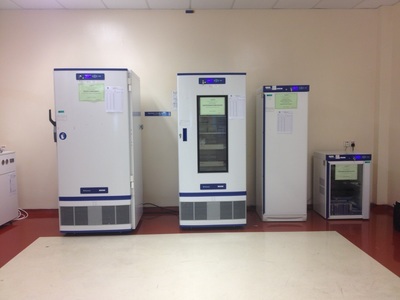 Body holding room is in Level Ground, UiTM Specialist Centre, UiTM Sungai Buloh, Selangor. ​Forensic Medicine provides service in assisting funeral process in term of temporary body holding room for deceased patients in UiTM Specialist Centre (PPUITM). There is a holding room available in level ground with 2 trolleys. Should the process of releasing the deceased is longer ( more than 2 hours ), deceased will be sent to Forensic Department , Sungai Buloh Hospital to be placed in cold chambers. ​This is also applicable if there is a need for an autopsy.